These little jeans were bought for my big brother in 1978. 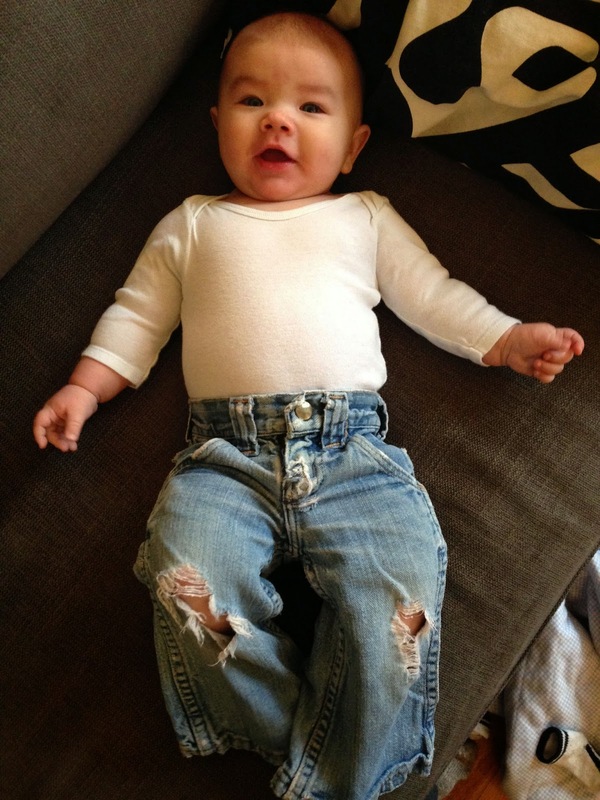 Jeans and flannels were sort of the hippie equivalent to a layette I guess. Each baby in our family has worn them since then. Ansel is the latest to rock this hippie heirloom.